The Murder Book 1 Edition This book offers a holistic view of homicide: referencing theories from different disciplines (psychology, biology, sociology, criminology) and findings from different regions around the world. Using examples from all types of incidents, the book provides more realistic coverage because it includes not just the high profile cases shown in the media and in books. 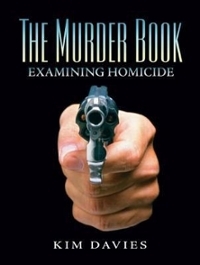 Encouraging a scholarly understanding of the topic, it devotes separate chapters to each type of homicide and includes unique chapters on solving homicides and processing homicides in court.